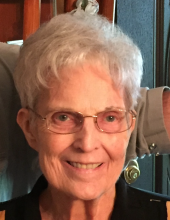 Sandra Ann Johnson, 72, went to be with her Lord on October 9, 2018. She was born to parents William and Catherine (Davis) Ingram on April 17, 1946 in Houston, Texas. Sandra was known for her devotion to her family and was a loving wife, mother, and grandmother. Her devotion also extended to her church, where she was known as a devout Christian with unwavering faith; she truly was an angel. Sandra was an active and avid reader who also taught children in pre-k. She really loved her Houston Astros, and her dog, Maggie. Sandra is preceded in death by her son, Wes William Sharp; sister, Sherry Wilkerson; and brother, Michael Ingram. She is lovingly survived by her husband of 42 years, Tommie Johnson; children, Kim Harder, Keith Sharp, and “bonus daughter” Lisa O’Neill; grandchildren, Catherine Harder, Sara Harder Robinson, dear friend, Fadra Sharp, as well as numerous extended family members and dear friends. The family invites you to join them for a visitation on Friday, October 12, 2018 from 5:00 P.M. to 8:00 P.M. at Carter-Conley Funeral Home. Funeral services will be held at 10:00 A.M on Saturday, October 13, 2018 in the chapel of Carter-Conley Funeral Home. Graveside services will follow at 11:30 A.M. at San Jacinto Memorial Park Cemetery under the direction of Carter-Conley Funeral Home. To send flowers or a remembrance gift to the family of Sandra Ann Johnson, please visit our Tribute Store. "Email Address" would like to share the life celebration of Sandra Ann Johnson. Click on the "link" to go to share a favorite memory or leave a condolence message for the family.